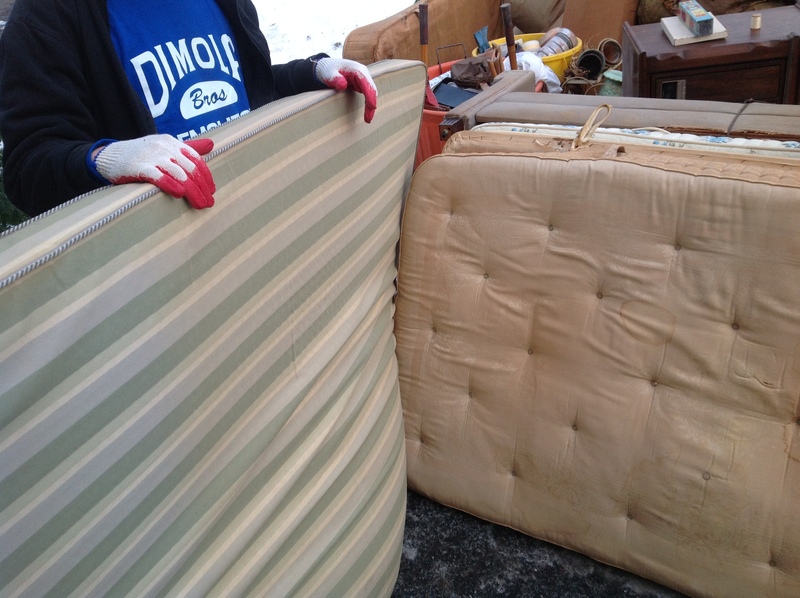 In a junk removal job in Glendale, Queens, I found these mattresses that a family was looking to get rid of. 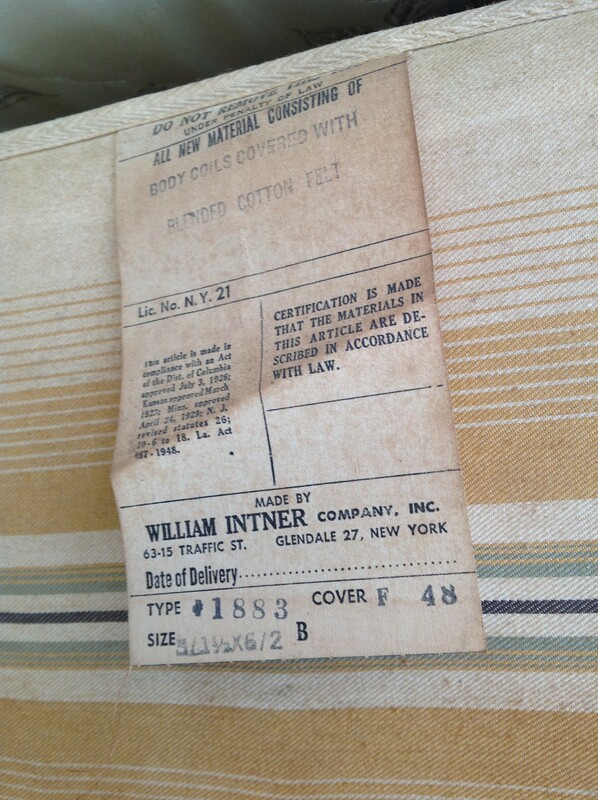 Though the date of delivery isn’t visible on the mattress tag, there’s one thing I noticed that gives away the age: the ZIP code. The delivery address listed says 63-15 Traffic St., Glendale 27, New York. That little two-digit ZIP code gives away a lot of information. As we all know, ZIP codes are now five digits long, but that didn’t start until the 1960s. In fact, starting in 1943, the United States Post Office Department designated two-digit postal zones for various large cities through the nation. In this case, 27 is the postal zone for a certain zone in New York. 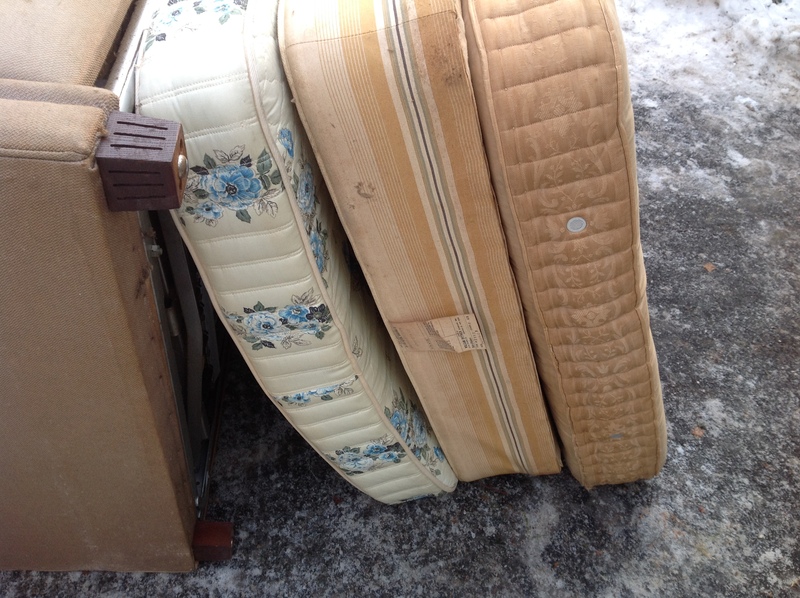 According to the tag, the mattress is made of body coils covered with blended cotton felt, which was common for the time period and was introduced in the 1930s. It wasn’t until the 1960s that the both the waterbed and California king-size bed were introduced. Even on a junk removal job in Glendale, Queens, like this one, it’s rare to find products that were actually produced in the borough of Queens, where my family has been running this business for decades. 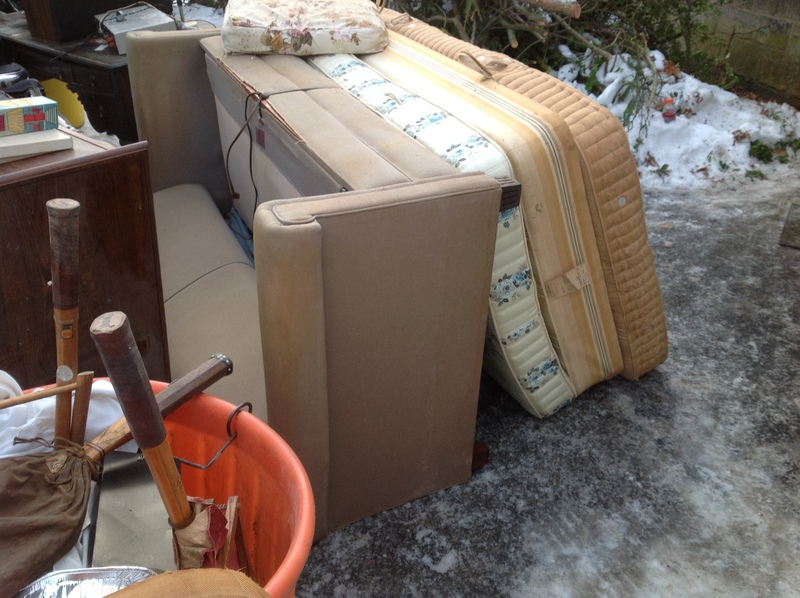 When I do find an item that tells a story on a junk removal job or any other type of rubbish removal job, I try to hang on to it and keep it in my garage. If it’s too big, like these mattresses, all I can do is snap some photos and tell the story here. It never gets old, and I’ll never stop searching for interesting finds in the trash to add to my collection. ~ by DiMolaBros1956 on January 6, 2014.